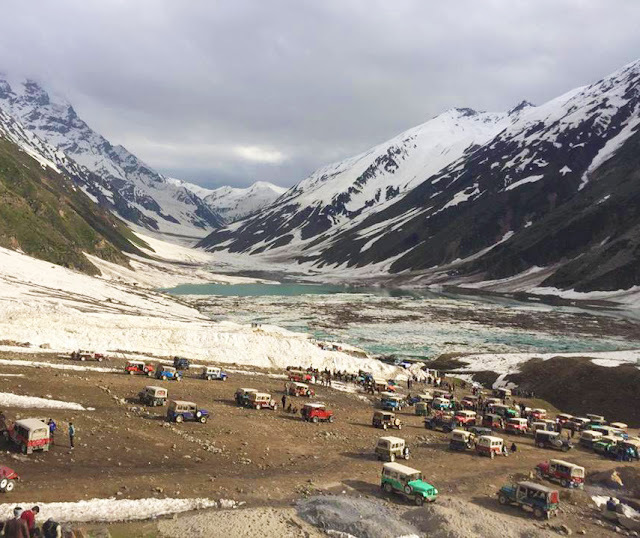 Located in Naran, Saiful Malook is one of the most popular lake and a tourist spot in Pakistan. 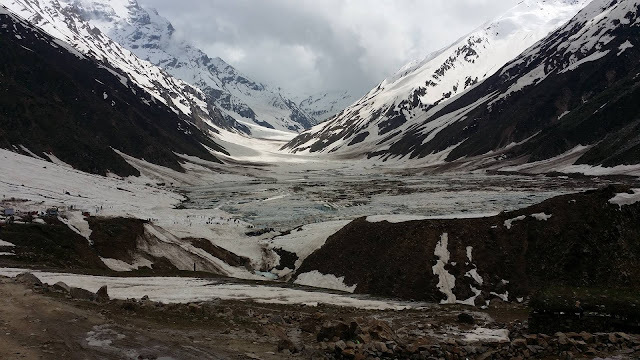 It is situated in KPK, a province in North Pakistan, that is widely regarded for its majestic natural landscapes. 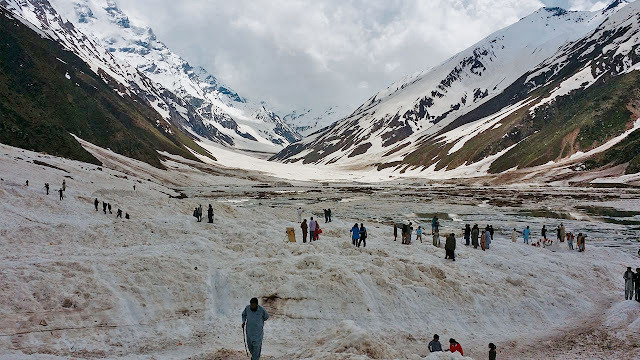 Glaciers are its primary water inflows that further feeds Kunar River which is another attraction of Kaghan Valley. 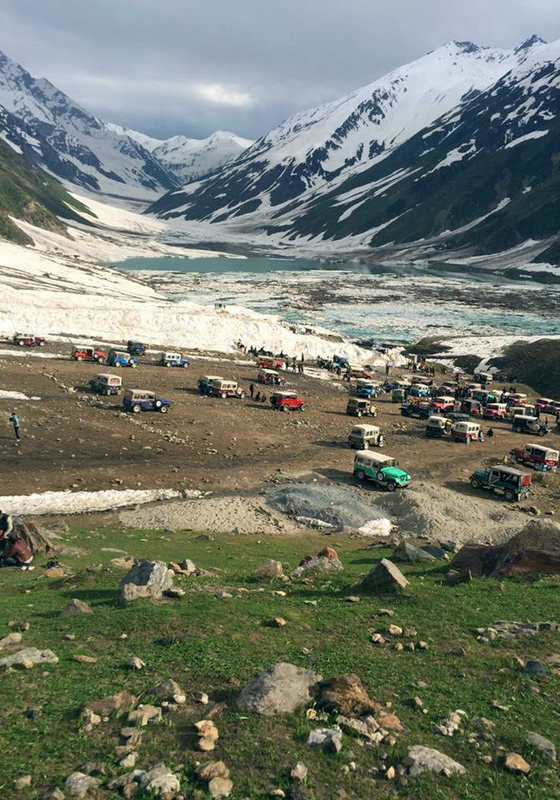 Situated at 3,224 meters above sea level, Saif ul Malook is one of the highest lakes in Pakistan. 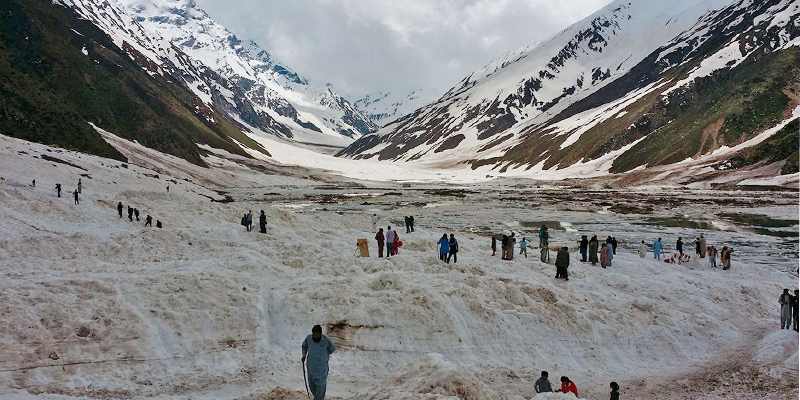 Saif ul Malook gets completely covered in snow during Dec-May, however in June, this frozen beauty starts melting. 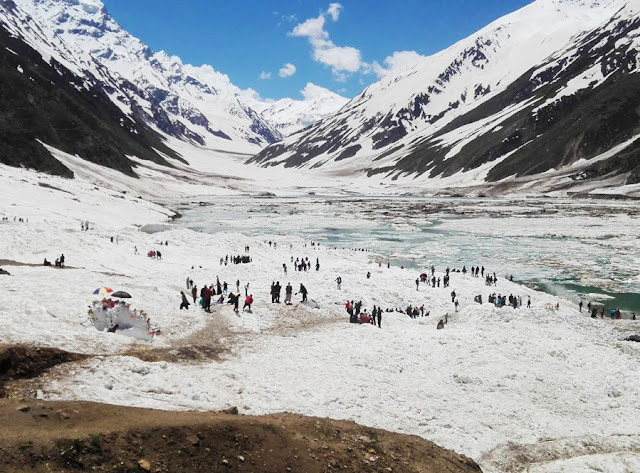 It attracts millions of visitors through out the year however during December to May, it is nearly impossible to visit this lake as all roads to this lake are blocked by glaciers formed by snowfalls in winters. Summer has officially begun and it is June now. 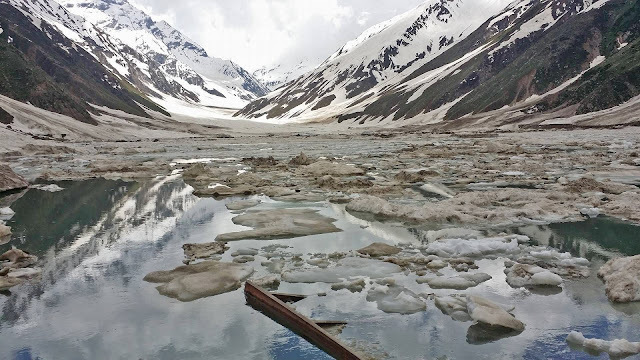 While the other parts of the country are experiencing heat strokes, Saif ul Malook is still partly frozen. 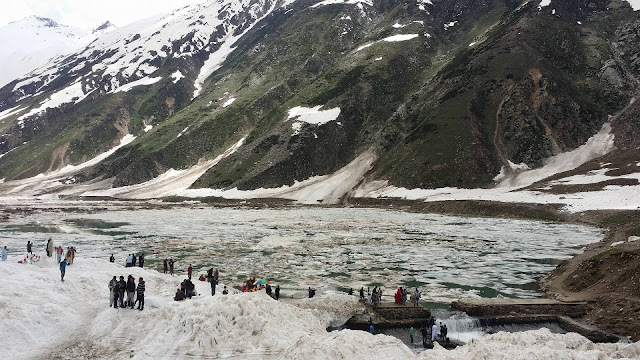 Tourists across country have started visiting it to experience the frozen charms of this beautiful lake. 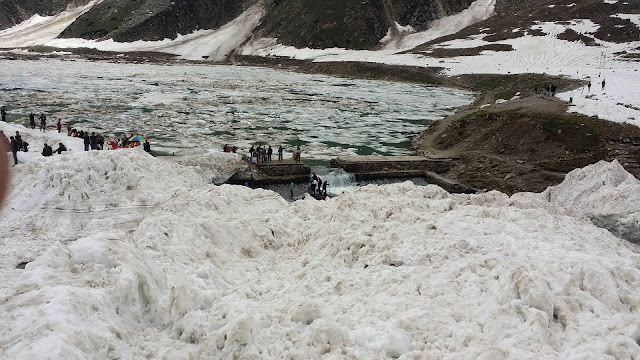 These are latest pictures of Saif ul Malook, captured in June 2016. 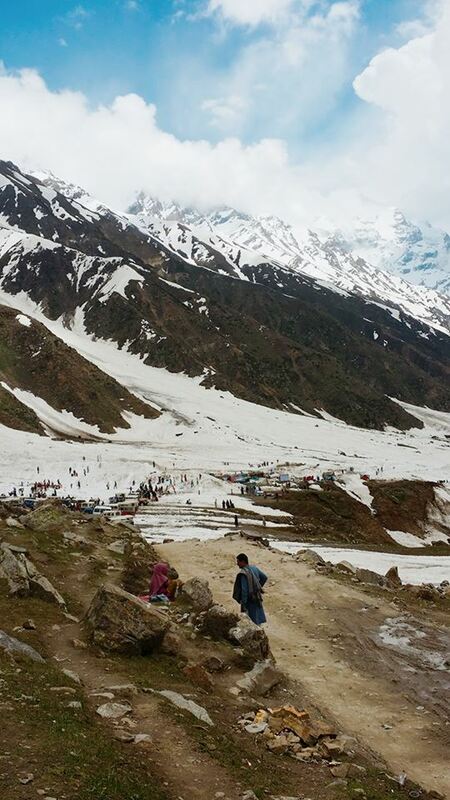 Hopefully it makes your mind to make this lake your next destination.